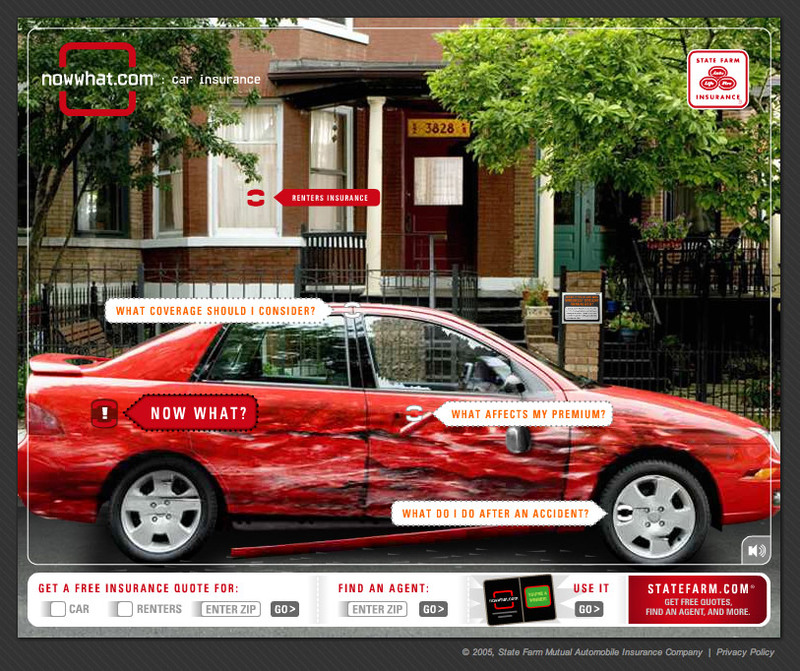 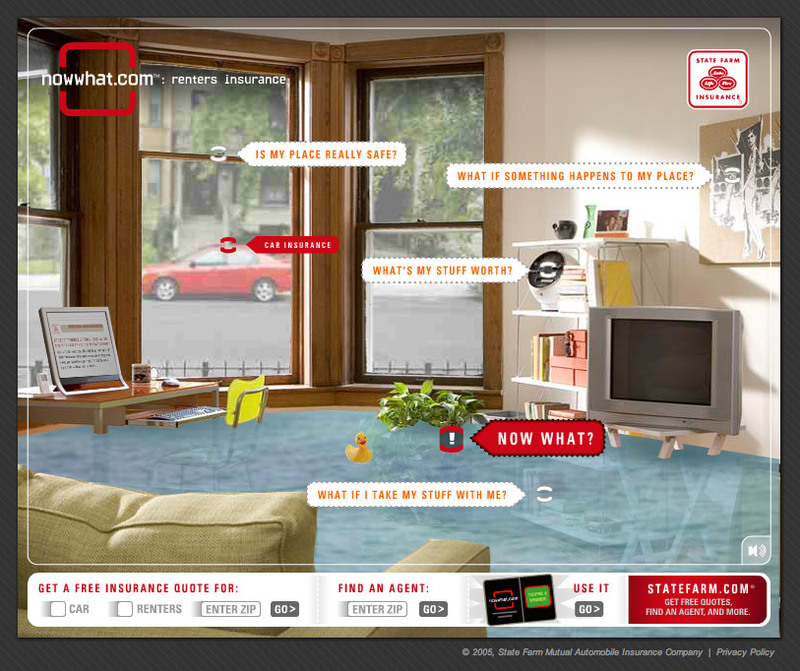 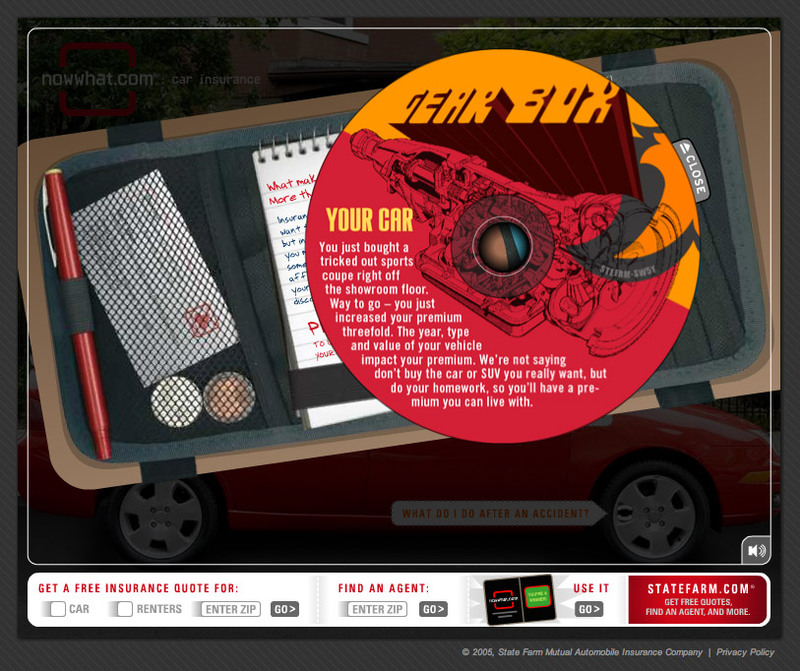 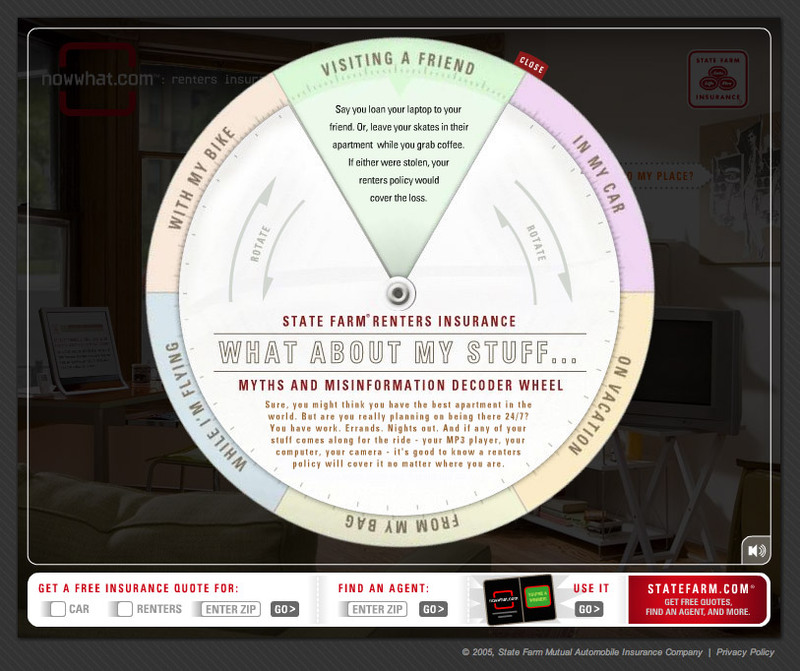 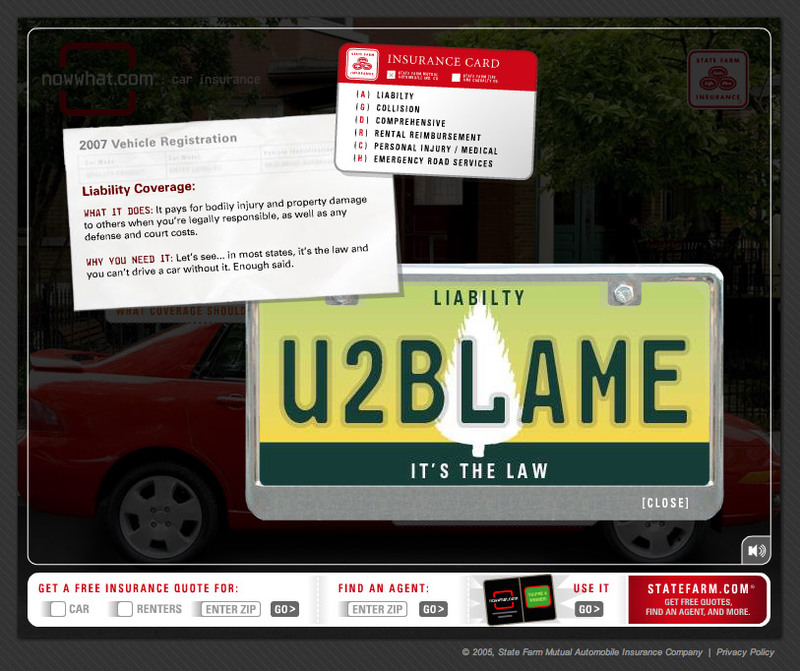 State Farm’s NowWhat.com website was the destination of the Now What? 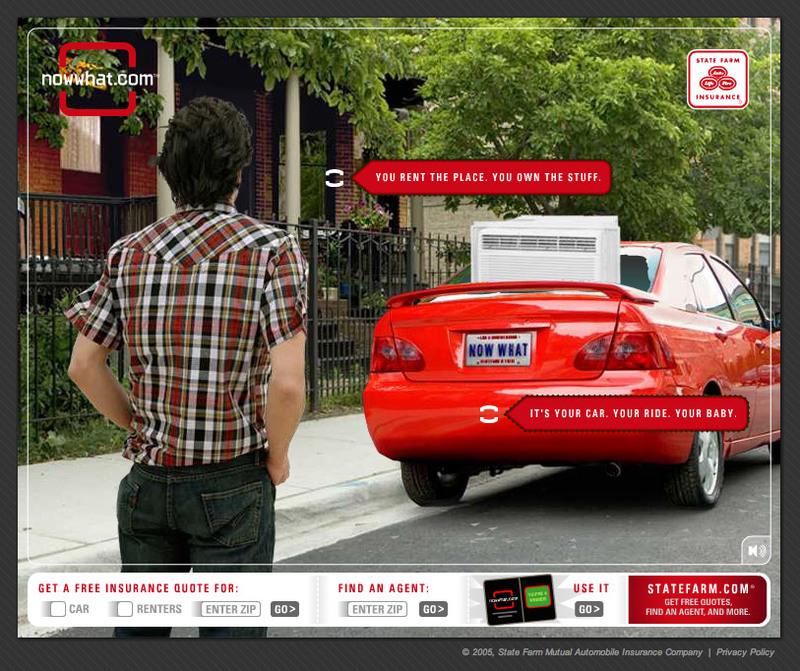 advertising campaign focused on young adults. 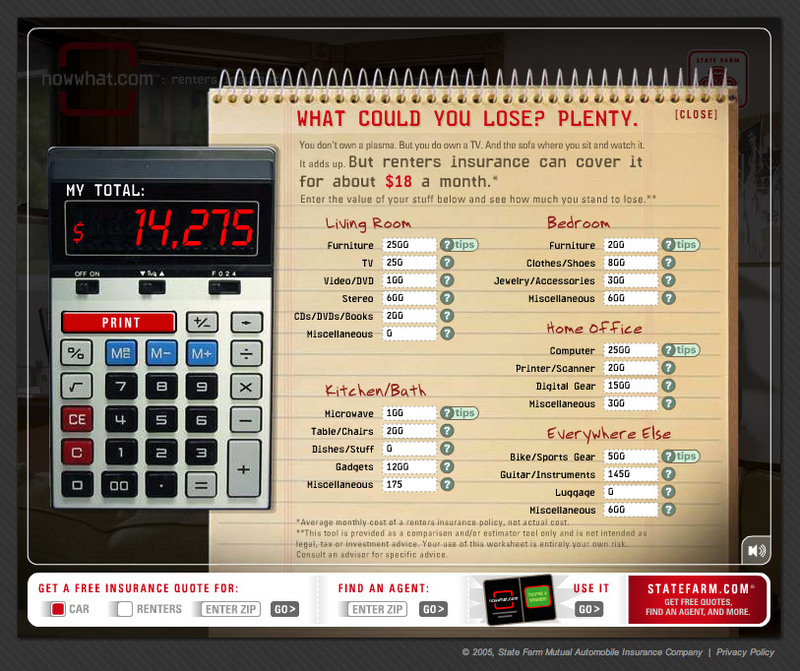 The site featured tools, information, and unexpected catastrophes for both auto and renters insurance.